I’ve found that students all too often overlook, or simply ignore, the feedback I give them on assessments. For whatever reason they just don’t use it. This is a problem. I value reassessment and see feedback as crucial in that process. If a student struggles on an exam, I need them to learn from their misconceptions. My feedback reflects this. I’ve always provided fairly detailed feedback, but this year I’ve stepped it up significantly. In fact, all I do now is give feedback. I provide no scores or grades on exams. This helps, but I still need to find ways for students to grow from the feedback they receive. I have experimented with kids relearning concepts the day after an exam without seeing their actual exam. The day after the exam, I give a copy of the SBG results to each group. Each student uses the data to identify the specific concepts that they need to relearn or review. The groups are a mix of proficiency levels (based on the exam results) so if a student needs help with a particular standard, there’s someone in their group that understands it and can help them. I also give them blank copies of the exam to work on and discuss. After about 15-20 minutes of peer tutoring, I give them their exams back. Based on their newfound understanding, at least some of their misconceptions should be alleviated. They now spend 15-20 minutes correcting their mistakes on a separate sheet of paper while directly responding to the feedback I’ve given them on the exam. Ideally, this means that they are using feedback from their peers to understand and respond to the feedback I’ve given them. It serves as relearning/remediation before they retake the exam. What I’m missing, though, is a reflection piece that ties into the feedback as well. A colleague conjured up a different spin on this. After an exam, he informs students which standards they didn’t earn proficiency on. (He doesn’t hand back their actual exam either.) He allows one week (more or less) of relearning/remediation on those standards – either on their own, or with you. He actually uses an online resource for this. Then, when they feel ready to retake, he returns their exam and asks them to self-assess and correct their original mistakes. If they can, he allows them to retake. If not, they continue relearning. It may not focus on feedback, but I like this. Closing thoughts: what if I do get my students to internalize my feedback? Are they just going to be doing it to satisfy the requirements that I ask of them? When they leave my classroom, will they view feedback as a necessary component of success? Will my feedback really make a difference? How else could I get them to value it? 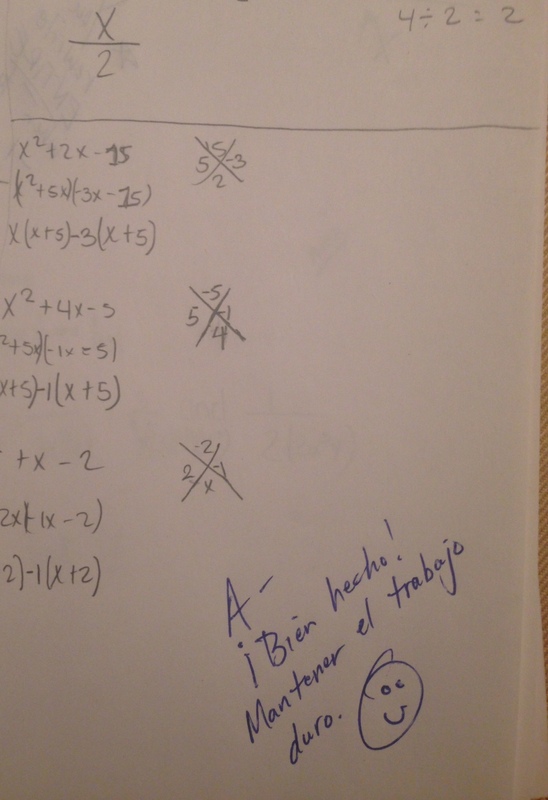 This entry was posted in assessment, strategy and tagged assess, exam, feedback, problem, relearn, sbg by brian. Bookmark the permalink.